Every car has problems over the years. Water pumps go out, mufflers rust through, tires wear, oil leaks, etc. But the basic tune up that Elkhart Mechanics can provide will save you time and money. 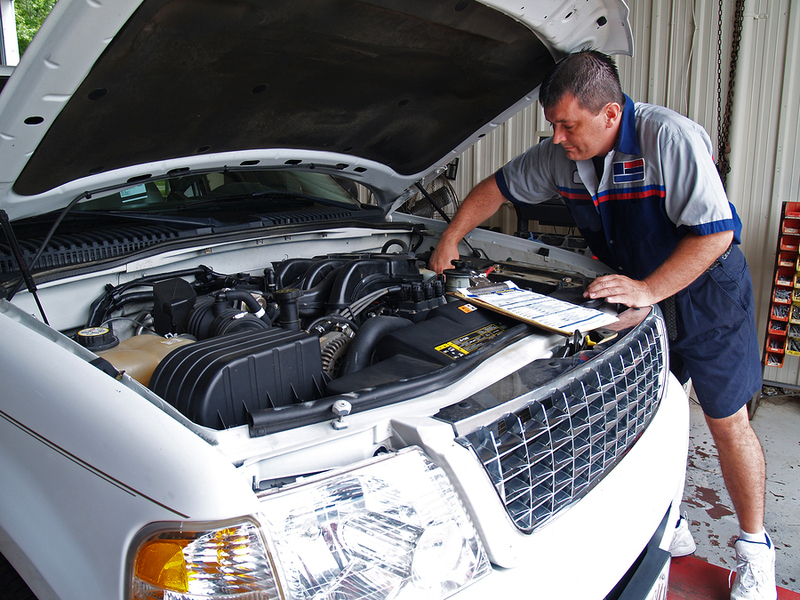 The basic tune up will cover spark plugs, checking belt wear, oil changes and air/oil filters. All of these need to be checked at regular intervals to keep your car in tip top shape. Did you know that spark plugs lose their effeincy over many miles of driving? Or that filters don’t filter as well over the years, all that gunk makes life miserable for your filters. And your poor muffler, trying to survive under your car, can you imagine? The salt and rocks and sticks trying to tear it off! So get your car a tune up. It will love you for it. Taking your car to a garage for a tune up can help you catch and fix minor problems before they lead to major problems that need expensive repairs. In some cases, a tune up can even improve your car’s fuel economy. In the old days, a tune up meant having certain parts of your car, such as spark plugs and air filters replaced at regular intervals. In reality, cars are so different from each other that it is not possible to make a one size fits all recommendation about how often you car needs service, and mileage is a better indicator than time of when to do maintenance. Your car’s owner’s manual contains recommendations about how often your car needs maintenance. When you bring your car to us for a tune up, we will do a lot more checking and inspecting than we will actual replacing of parts. We will inspect all the parts of your car, and most likely tell you that most of them are still good. We will start with a basic inspection, including checking the engine oil, tires, transmission fluid, brake fluid, radiator fluid, power steering fluid, windshield washer fluid, battery, brakes, and lights. We will do an engine diagnostic to check for problems with the computerized parts, and we will visibly inspect the non-computerized parts. We will test the emissions system, fuel system, ignition system, oxygen sensors, and vacuum hoses. If necessary, we will recommend that you change the engine oil or rotate the tires. We might also recommend that you replace the car’s air filter, belts, spark plugs, or windshield wipers. We will never replace a part without your permission, so you will never be surprised by unexpected charges on your bill. When your car does need replacement parts, we will be sure to provide them and install them for a reasonable price.